Why smart parking today and for future ? Today, more than one in two people expresses a growing need for mobility. Mobility is not only a matter of developing transport infrastructure and services, it’s also a matter of dealing with people’s preferences since private motor vehicles are still people’s favourite way of transportation. This leads to an increase in the number of private vehicles, which in turn inevitably leads to an increase in energy consumption and carbon emissions. Cities constantly need to rethink their policy on urban mobility. In that respect, they also have to consider offering products and services which will influence people’s behaviour in terms of mobility. As a result of people’s use of private motor vehicles, urban parking, especially on-street parking, is a key component of urban mobility. Providing relevant information about both on-street parking and alternative means of transport allows drivers to make sensible decisions about their use of private motor vehicles. Active monitoring of parking space and parking fees is an efficient way to influence people’s behaviour and choice of means of transport, which contributes significantly to reducing energy consumption and carbon emissions. 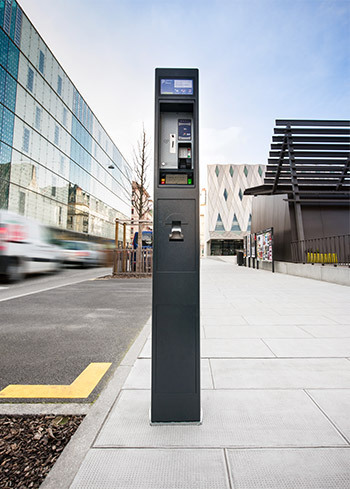 IEM is a leading European supplier of intelligent devices to manage on-street parking. Thanks to its advanced technologies and connected services, the company provides state-of-the-art solutions for cities, parking operators and drivers. The focus is not only on cash collection. IEM allows a much broader approach to the management of parking space and parking fees, based on real-time information. 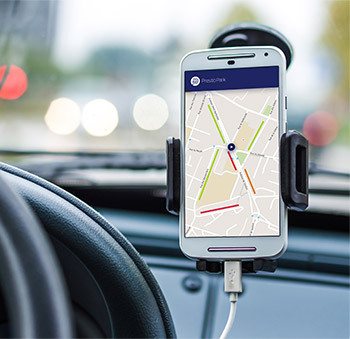 Drivers can use IEM’s intelligent on-street devices or applications on their smartphones for identification, payment, guidance and information about alternative means of transport. IEM provides drivers with a set of applications which turn urban mobility into a pleasant experience. And the consequence is a better and more limited use of private motor vehicles in cities.